A while back, I installed Windows 8 on my MacBook Air (mid 2013 model) using Bootcamp. It never really worked, (it would freeze all the time, the WiFi would cut in and out, etc.) so I got rid of it. I tried to do this through Bootcamp again, but for whatever reason this didn't work, so I booted up on a live Ubuntu USB and manually erased the NTFS partition for Windows. Once back in OS X (Mavericks, but it was Mountain Lion when I installed Windows), I expended the default HFS+ partition to fill the full space of the SSD. 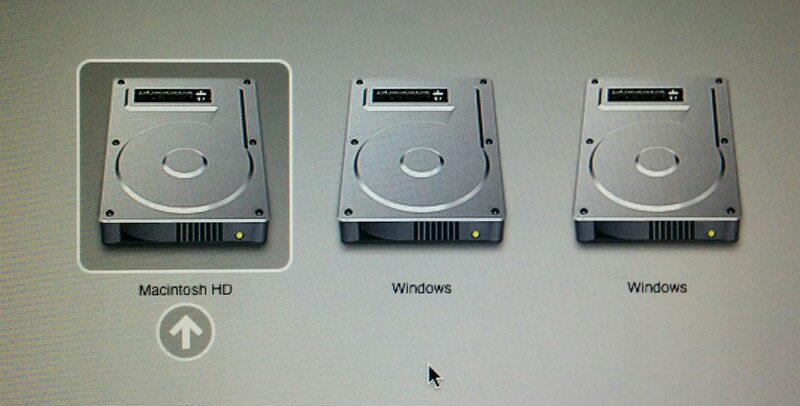 So now I've got a nearly out-of-box Macintosh HD partition; everything on the Mac side works fine. But lately, I find myself getting increasingly annoyed at the BSD coreutils among other things, and so I'd like to be able to dual boot into some version of Linux (probably Ubuntu or Xubuntu, but this is kind of arbitrary). I can't see where these icons would be coming from. In the end, I'd like to just have both of these gone (and I guess any other hidden remnants of Windows that they might be indicating). When you don't use the Boot Camp utility to remove Windows, the Windows boot image on your EFI partition is not removed. This is what you see when you hold down ⌥ during boot. The procedure to solve this is not for the faint of heart. You need to mount the EFI partition in OS X (normally, it only gets mounted for system updates). Take note of /dev/disk0 and 1: EFI. The numbers 0 and 1 have significance later. Now navigate to /Volumes/efi/EFI. This directory is supposed to only contain an APPLE directory. On a machine where I had Windows installed, it also contained a Microsoft and Boot directory. These can be safely removed, but for extra safety I would recommend renaming them to something different instead. Then umount and delete the directory you created earlier. Reinstall Windows again using BootCamp, then remove it properly using BootCamp Assistant. It takes time, but solves the problem. Dummy Windows entries are gone forever. In the end, I gave up on actually removing the entries from wherever they're stored on the bootloader. Instead, I just installed rEFInd and manually removed the entries from the bootloader. I chose to go this route because after installing Xubuntu, this was the only way that my mac could find the xubuntu bootup file and also rEFInd has a feature where you can specify which entries you want to display and which you don't. It's not entirely fixed, but I'll only have the laptop for a little while longer, and I can deal with it until then. Worse things have happened. This is the most accurate and I have succeeded! You’re looking for a partition on your main hard drive called EFI. Replace /dev/disk0s1 with the correct partition you located using diskutil. Restart your MAC and done!!!! Not the answer you're looking for? Browse other questions tagged bootcamp windows disk-utility partition . 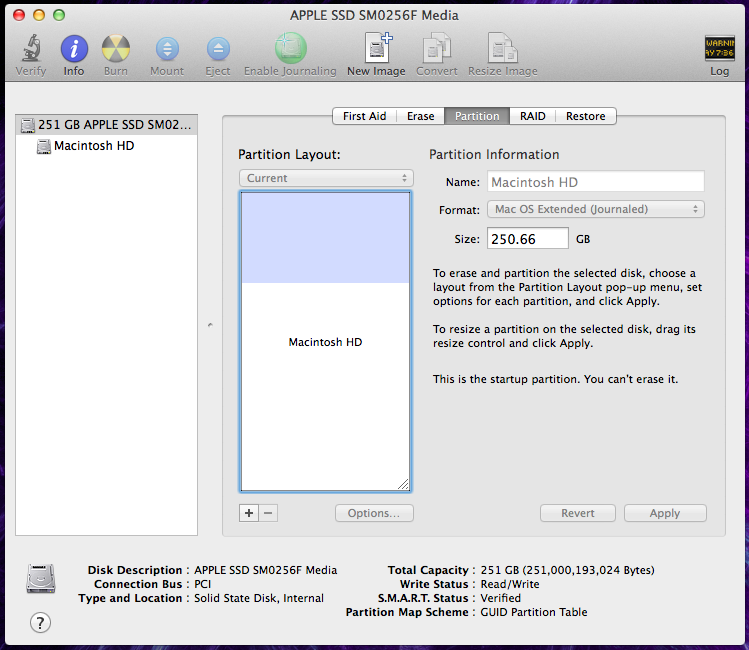 Is it possible to repartition hard drive from which Mac OS X boots?